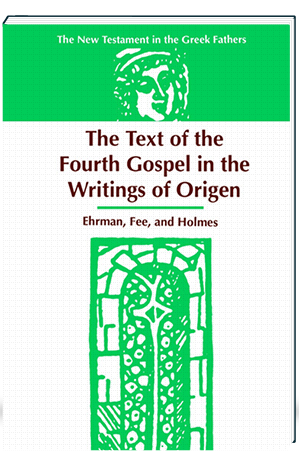 This is the first of a two-volume study of the quotations of the Fourth Gospel in the writings of Origen, the greatest scholar of Christian antiquity. 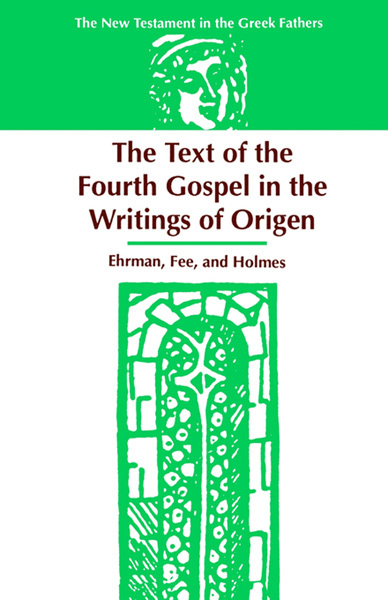 In this work, Ehrman, Fee, and Holmes present all of Origen’s quotations in full, including all significant allusions, and provide a detailed comparison of these references with a range of important Greek and Latin Gospel manuscripts. In the forthcoming second volume, these data will be analyzed to show what they can tell us concerning the history of the transmission of the New Testament text in Origen’s two principal places of residence, Alexandria and Caesarea. This study will prove invaluable for anyone who is concerned to see how the text of the New Testament came to be modified during the course of its transmission as well as for all who are interested in the interpretation of the Gospel by the most significant exegete of the ante-Nicene age.